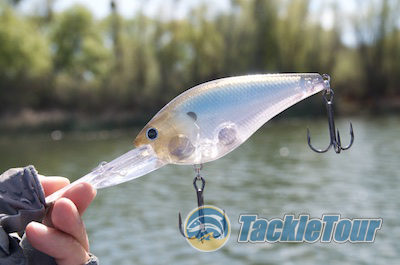 Introduction: Abnormally sized artificial lures are really nothing new in bass fishing circles. 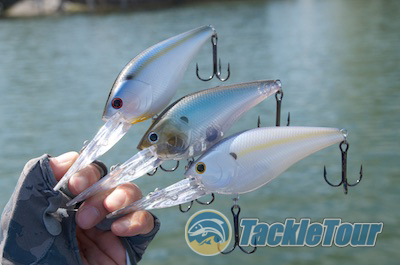 Anglers have been successfully fishing baits measuring eight to twelve inches and more for well over decade, and if you include species other than bass, even longer than that. Even so, these so called "swimbaits" continue to inspire thoughts of disbelief to the uninitiated who are accustomed to tossing smaller, more manageable lures like spinnerbaits, jigs, and so on. Well, now the "lure-of-unusual-size" (L-O-U-S) syndrome has crept into other types of baits as well. 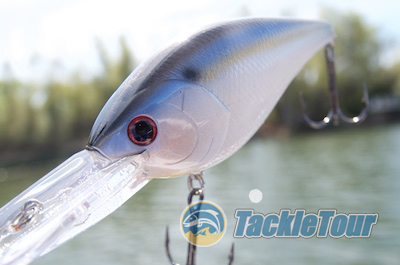 Most notably over the past year has been the emergence of L-O-U-S crankbaits. Leading that charge is non-other than Lucky Craft. 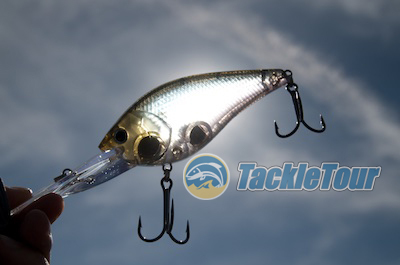 Here now is our look at the SKT Magnum MR & DR series of crankbaits. Length (excluding bill) 110 MR = 4.25" : 120 DR = 4.75"
Introducing Lucky Craft's 120Mag DR oversized cranks. Quality/Construction: I can't remember the last time, if ever, that I opened a package containing a bait from Lucky Craft and was disappointed at the result. This company knows how to put together a good looking product out of the package and the SKT Magnum cranks are no exception. Finish on these baits, while rather modest by LC standards is very good as is the detailing. Hardware is all very stout and feels like it will hold up to abuse and overall craftsmanship is very good. The 120Mag DR is one of three baits in the SKT Mag suite. Performance: The trick with these baits is finding the right rod, reel and line to use when cranking them up. I turned to my Megabass F4.5-711GTA Ultimate Cranking stick, matched with an Abu Garcia Revo Winch spooled with 20lb Sunline SuperNatural. Despite the bait's oversized bill and lack of an internal weight transfer system, it casts well. 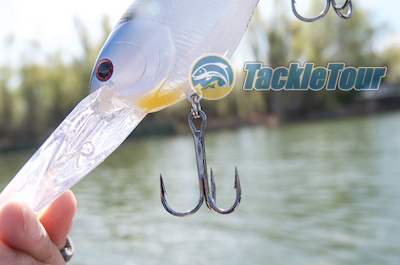 Castability: The SKT Magnum series of baits from Lucky Craft are big. They are big and they are heavy, yet often even with baits of this size, casting can be a little bit tricky if there's no internal weight transfer system to change the bait's center of gravity during a cast. 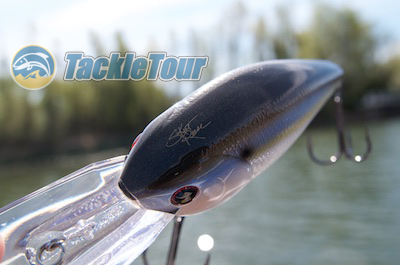 The SKT Magnum baits have no internal weight transfer system, yet they cast just fine. The largest, 120 MAG DR, can, at times, get caught in a breeze and blow off target slightly, but these are hardly baits you're looking to place with pin point accuracy. They're just too big and clumsy to demand finesse placement. This bait definitely gets down though the time it takes to reach maximum running depth is just above average. Dive Time: Crank the handle of your reel over and the SKT Magnum cranks begin diving right away although I question the dive angle of the 120 Mag DR because it does take some time for that bait to hit maximum depth. Granted this could also have to do with how far this bait can dive. Using 20lb Sunline Supernatural I was able to reach what felt like bottom in 20 - 25 feet of water (according to the depth finder). Typical Lucky Craft detaining at the head of this bait, though overall realism is average as well. Speed: Once the DR hits its running depth it's a little difficult to retrieve it at anything greater than a medium cadence. Deep diving cranks just are not meant to be retrieved fast. The MR, however, can be moved at just about any speed though I did not try burning it with a super high speed reel. Each bait comes with two beefy 3/0 sized hooks. Deflection: One thing I really like about the SKT Mag DR is the way it bounces off obstacles lying on the bottom whether that be bottom contours, stumps, boulders, etc., the DR does a good job of moving around and avoiding hangups. On the few occasions where I did manage to hang the bait up, the situation was quickly resolved by positioning the boat to pull the bait up from a different direction meaning it's the bill that got caught and not the hooks. 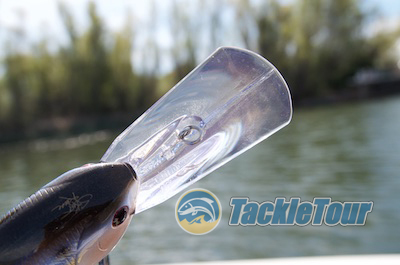 A look at the bait's internal weight placement.